"The Godwin Critically Silenced Dri-Prime pumps have proven to be successful permanent backup systems for our pump stations during catastrophic failures. The pumps provide us with peace of mind whether it's a mechanical or electrical failure at our stations. 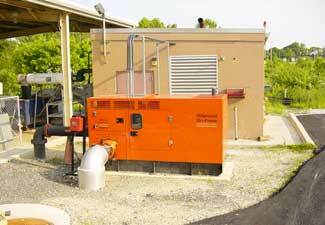 A generator just can't provide us with the same level of protection." --Harry Hall, Field Superintendent, Lower Providence Twp., PA.
"The Godwin Dri-Prime pumps are lighter, easier to tow, and far less expensive than a 150kw generator. Instead of buying one unit, we were able to purchase three units and provide protection for all three lift stations. We are in the process of changing our development regulations pertaining to water and sewer. All future lift stations constructed in the City will be equipped with stationary backup pumping units instead of generators. 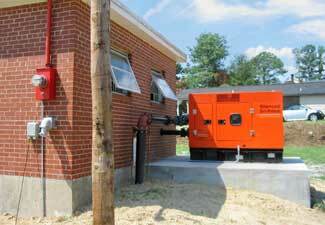 In our opinion, it gives us the ability to work through more emergency situations than does a generator." --Eric Wilmarth, City Manager, Ball Ground, GA.